If you are looking for a local carpet, curtain and upholstery cleaning expert in Maidstone, Sittingbourne, Rochester and the surrounding area in Kent, call Apple Clean today. We have a solid track record of 25 years providing a wide range of services ranging from upholstery and carpet cleaning to in-situ curtain cleaning and stain removal services to homes and businesses. For a top quality personal service with painstaking attention to detail, contact us today. Hello, I’m Jonathan and I’ve been supplying carpet, curtain, upholstery and other cleaning services to homes and business in Maidstone and the surrounding villages for more than 25 years. It has always been my belief that a local business should offer an exceptional personal and professional service, with excellent results and great customer service. That’s exactly what we do at Apple Clean. Call me today for honest and realistic advice on any cleaning matter along with an instant no-obligation quote. 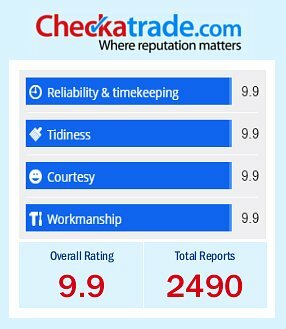 At Apple Clean, we are proud to be members of Checkatrade, where you can see certified and genuine reviews from our customers in the Maidstone area. Of course, you can leave your feedback too. With over 2600 reviews and an average score of 9.89 out of 10, we think the results speak for themselves. Call us today on 0800 587 4571 to find out more about the cleaning services we offer in Maidstone and beyond. Apple Clean are a professional team offering a comprehensive range of specialist cleaning services to residential addresses, workplaces and commercial premises in Kent. As your local cleaning company in Maidstone, Aylesford, Bearsted, West Malling and the surrounding area, we will visit to carry out high quality curtain cleaning, upholstery cleaning and carpet cleaning on your premises. 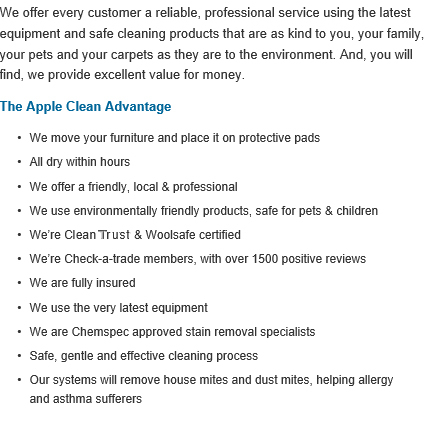 At Apple Clean, we provide more than just carpet cleaning. We have a broad service portfolio that ranges from upholstery cleaning to rug cleaning and in-situ cleaning for curtains, as well as specialist services including stain removal, flameproofing and Scotchgarding. What’s more, we can deal expertly with delicate ‘dry clean only’ fabrics, thermally lined curtains and even leather – no job is too tricky or too small for our experienced operatives. Why not get in touch today for professional advice or to get a quote? Whether you live or work in Maidstone, your carpets, curtains and upholstery represent a substantial investment into your interiors. 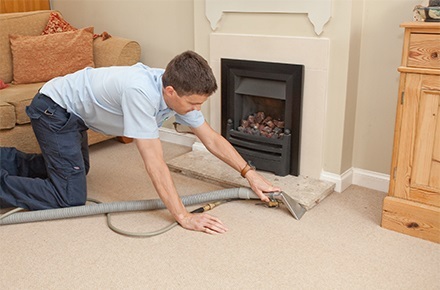 Keeping your carpets and soft furnishings in tip top condition is essential for getting the most out of your purchase, while a clean and hygienic environment will benefit your family, customers or staff. 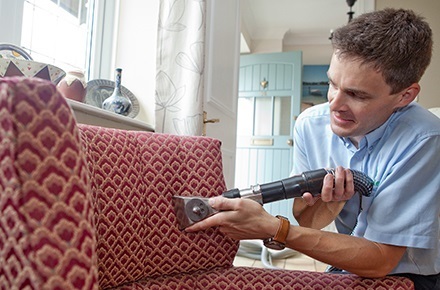 Apple Clean’s highly skilled team of operatives in Maidstone will ensure that your carpets, upholstery and curtains are treated with the utmost care. Whether your requirement is for commercial cleaning, in-situ curtain cleaning, oriental rug cleaning or specialist stain removal, we will achieve excellent cleaning results that you can be proud of. At Apple Clean, each and every client is important to us. With every visit, we aim to delight and impress with our professional technicians’ work ethic and attitude. You will find them polite and courteous at all times when dealing with your particular cleaning requirement. For a free quote for professional carpet cleaning, curtain cleaning and upholstery cleaning in Maidstone and the surrounding area, why not give Jonathan at Apple Clean a call today on 0800 587 4571 or simply complete the form on the right.